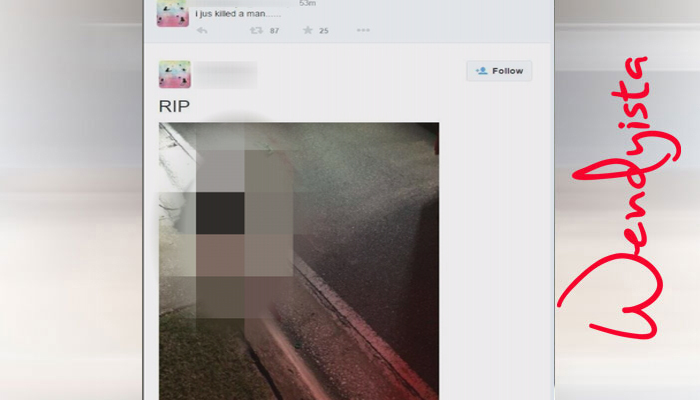 The driver of a car who hit and killed a teenager in Jacksonville Sunday night tweeted about the accident just after it happened. Trevius Williams, 16, died after being hit by a Hyundi Accent as he was crossing the street around 8:30pm. The driver of the vehicle -- identified as 19-year-old Keenan Mikel Slaughter -- tweeted a photo of the boy's dead body along with the caption: "I jus killed a man...". Police say Keenan didn't leave the scene and have cooperated with investigators. He told investigators, though, he didn't know who took the photo. Liar! At the time of this writing, he hasn't been charged with the crime.